Who is fitting the Pectus emBrace? 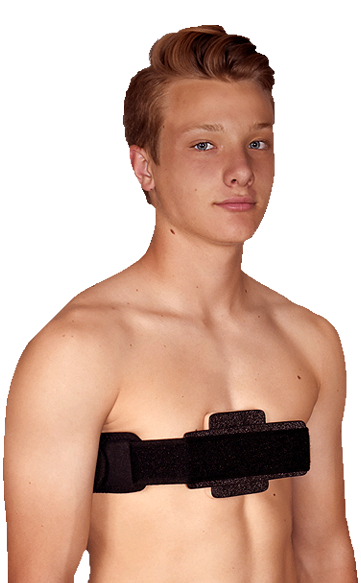 Stabilizes soft tissue for patients recovering from thoracic surgery. For the treatment of Pectus Carinatum. Cureventions and our innovations are inspired by more than 25 years of experience as trusted experts in the medical field. Our focus is designing innovative products to improve the quality of life for patients. Through collaborating with medical professionals and patients themselves, we create solutions that are corrective yet have patient health and comfort in mind. We strive to be a company that listens and considers patient needs with the highest level of compassion.